Here are a few photos from recent ramblings. After delivering some books to Tualatin River NWR, I took a quick walk on the path that leads through some newly planted oaks and along the river. 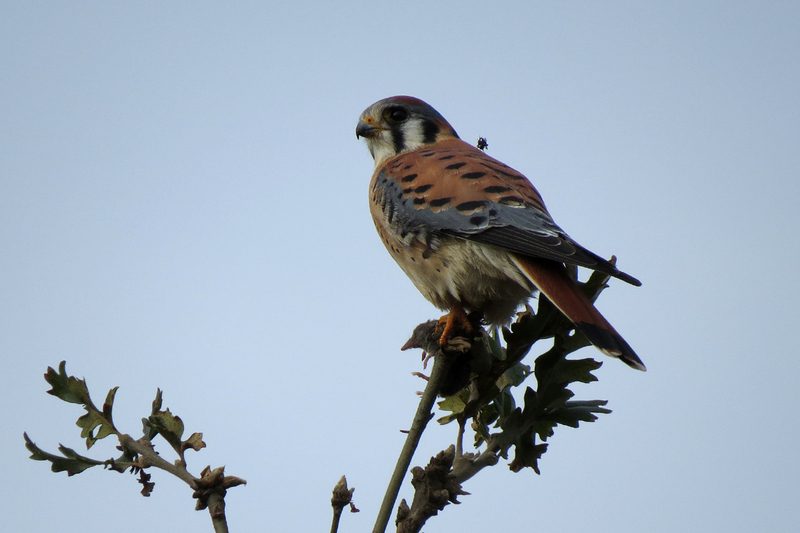 This male American Kestrel had just captured a shrew. 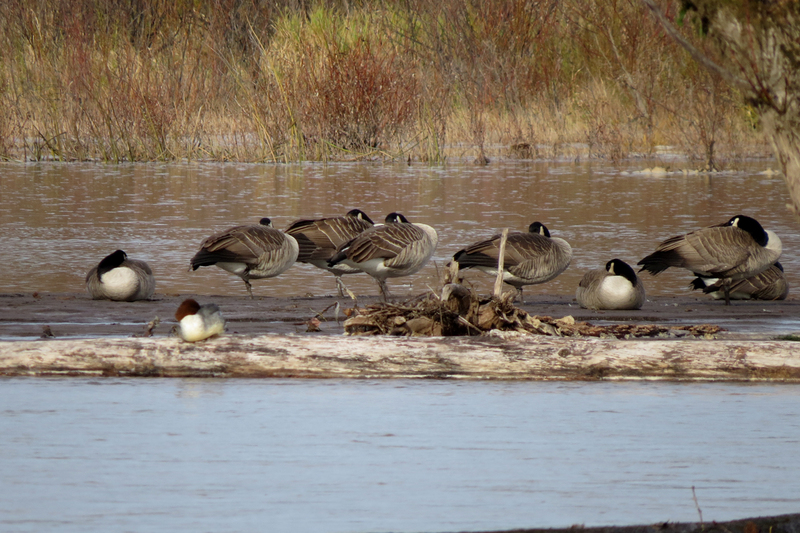 These Western Canada Geese (and the Common Merganser on the log in the foreground) were napping at the Sandy River Delta. 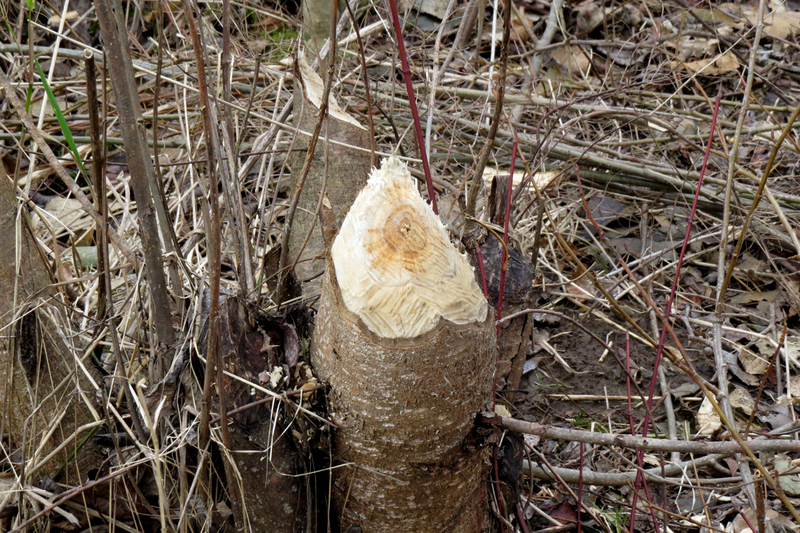 The Beavers are really enjoying the young trees at Sandy River Delta. 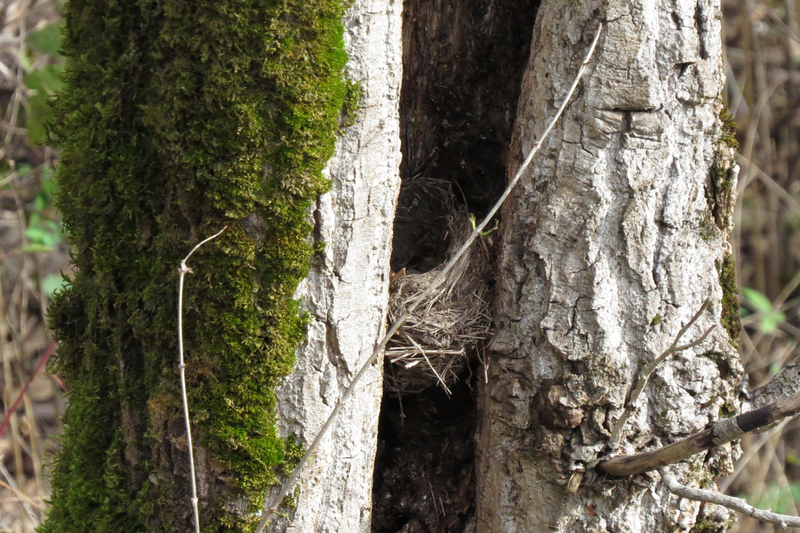 This old American Robin nest was tucked into a crevice of a tree. 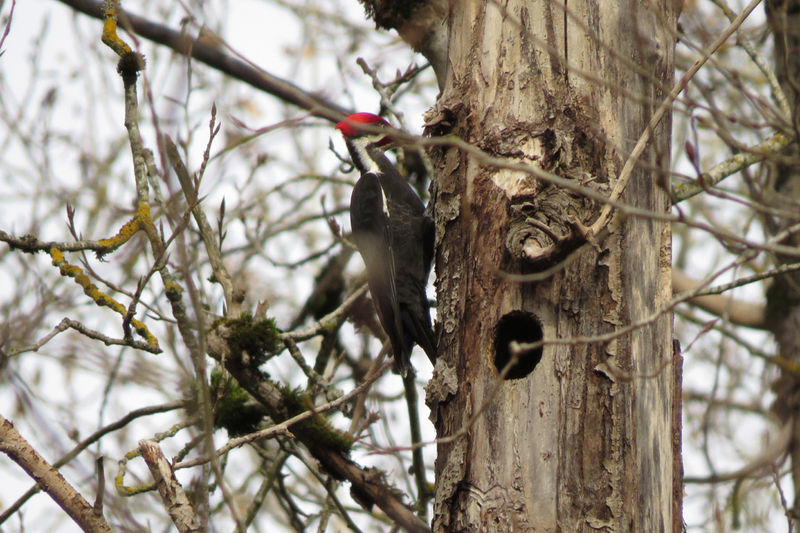 Pileated Woodpeckers are fairly easy to find at Sandy River Delta. This one was perfectly hidden behind a branch. 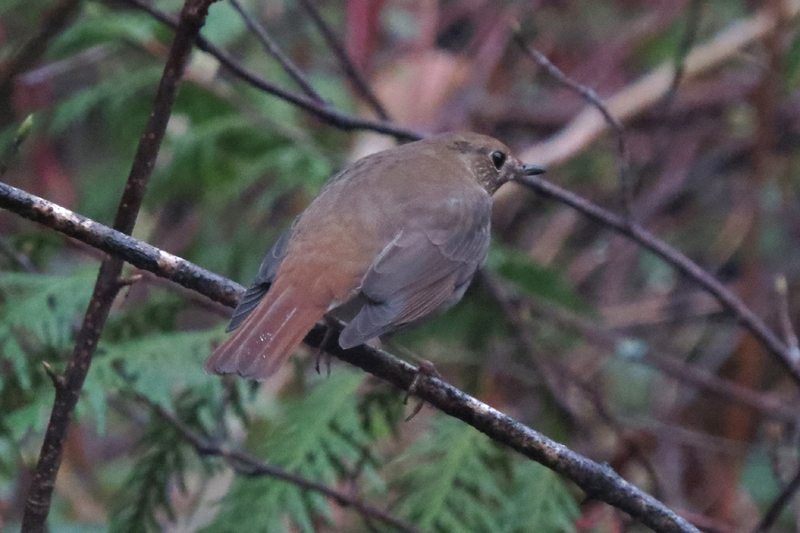 This Hermit Thrush was chasing another outside my bedroom window early in the morning. 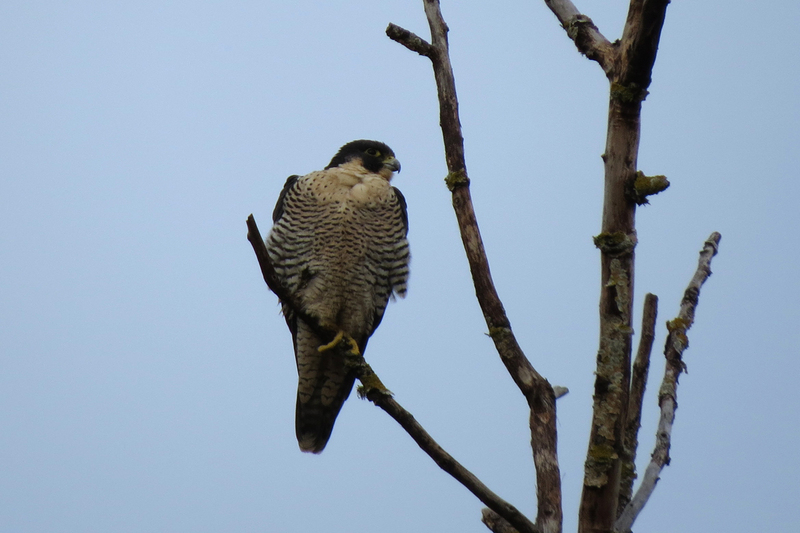 This entry was posted in OR Birding Sites and tagged American Kestrel, Common Merganser, Hermit Thrush, Peregrine Falcon, Pileated Woodpecker, Sandy River Delta, Tualatin River NWR, Western Canada Goose. Bookmark the permalink.